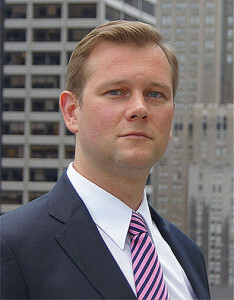 MARIUS GEBSKI is a founding member and managing director of SEGAL GEBSKI PLLC. His broad experience consists of domestic and international transactions, real estate and litigation. Mr. Gebski also regularly provides advisory services to his corporate clients in the United States and abroad. He is fluent in Polish, Russian and also freely communicates in French. Mr. Gebski received his legal training in USA, Russia, France and Australia.